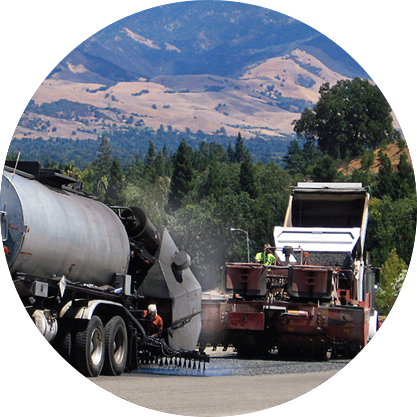 is an application of a bituminous binder covered with an application of clean graded aggregate to an existing asphalt surface. 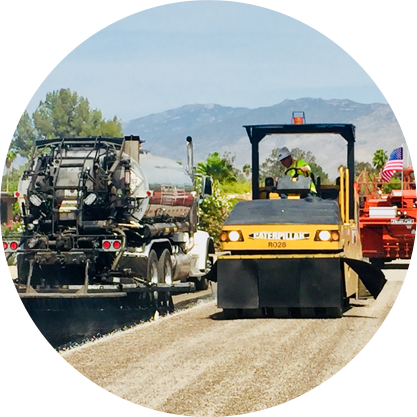 The binders may be emulsions, paving grade asphalt cement, and modified versions of each being modified with various polymers such as latex, tire, and natural rubbers. Chip Seal has been used in various forms since at least the early 1900’s. The quality has improved over the years with better binder technology, cleaner aggregates, and improved equipment and a better understanding of how the materials perform together. How is Chip Seal designed? By making use of the best local aggregates with the most compatible binders while considering climate, traffic count and type to maximize results with awareness of cost with the funds that are available. Once the binder and aggregate are selected there are procedures to determine the rates of application for each. 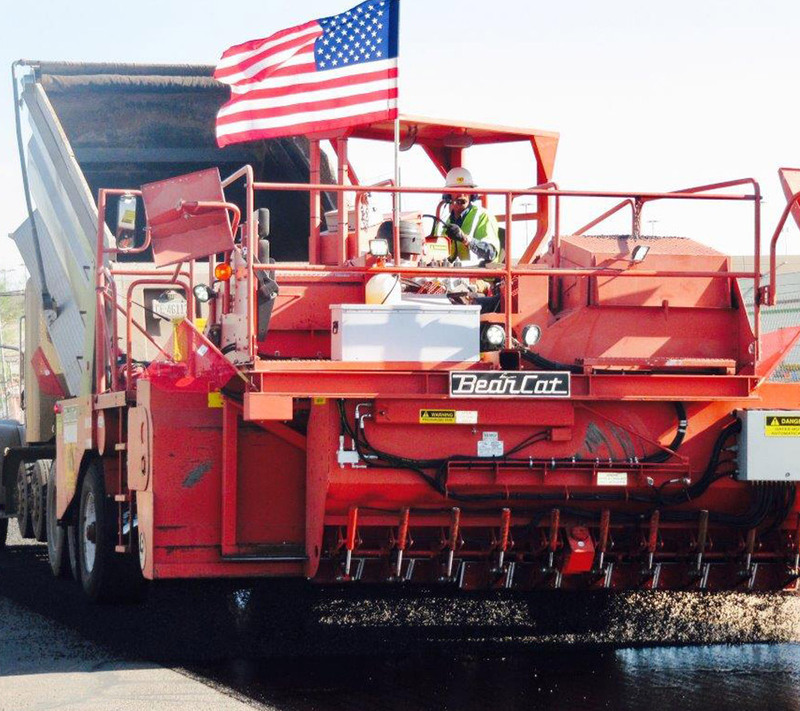 The binder is applied by an asphalt distributor which has the capability of applying the design rate at the desired width. The binder application is followed by a mechanical aggregate spreader that is also capable of applying a design rate at the desired width. Then rolling is performed with pneumatic rollers to set the cover aggregate into the binder. Finally, if there is any loose aggregate, it is removed by a rotary broom. 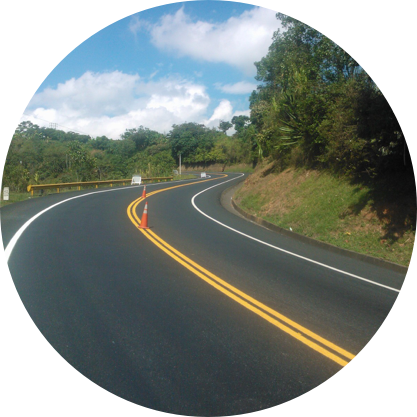 Chip Seal is a comparatively low-cost method of maintaining an asphalt surface indefinitely that can make use of local materials, and be performed by contract or by using local maintenance personnel. Traffic can be back on the road in minutes. A finished Chip Seal is very pleasing in appearance and traffic markings show up very well. There is virtually an unlimited number of Chip Seal combinations depending on what type of binder and aggregate are available. Chip Seal is normally one application but can be applied in double or even triple applications if needed. Multiple applications commonly use different sizes of aggregates to help “lock” the applications together. Asphalt rubber binder is a blend of liquid asphalt and crumb rubber and/or natural rubber. All the materials are derived from recycled rubber (tire and other). The binder is at least 15% modifier and is made with an on-site blender in many cases. The elastomeric nature of the binder, its high viscosity and softening point improve the seal , reduce cracking and improve stone retention. Asphalt Rubber Chip Seals can be used over cracked pavements as long as the cracking is alligator or fine cracking. Hot Rubber chip seals can vary in stone size, binder composition and application rates. They may be used as running surfaces or topped with hot mix or with slurry. They may be single layer or multiplayer. VSS will be pleased to advise. See also the Chip Seal information. How are Asphalt Rubber Chip Seals constructed? • The surface is patched and large cracks filled. • The binder is applied via a computer controlled distributor truck. This is done at a temperature of about 195C. • Immediately after the spray aggregate is applied with a self-propelled chip spreader. The aggregate is pre-coated with hot asphalt and is hot itself. • The chips are rolled with a rubber tyred roller to embed and orientate the chips into a strong mat. • A flush coat or fog seal is applied after sweeping of excess aggregate to hold the aggregate in place for its early life. The rubber in the binder is resistant to cracking and helps prevent cracks as they propagate. This reduces reflective cracking, creates a flexible and tough material. A VSS estimator will be pleased to provide you with specifications and estimates for your job. 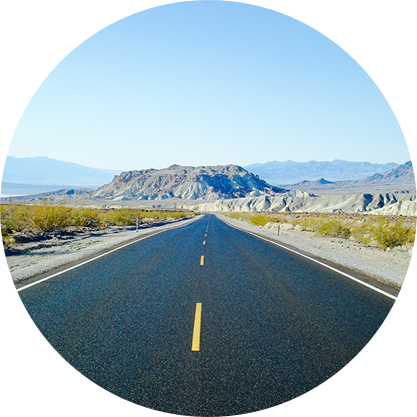 Asphalt Rubber Chip treatments are significantly less expensive than thick overlays or reconstruction.